How to Get a 1000 Likes On Your Facebook Business Page. Need 1000 likes on your Facebook business page. This like on Facebook business page article is custom-written for the sole purpose of helping you improve your business identity online using honest and dishonest facebook like techniques (we always suggest you go with the honest technique for obvious reasons). Please read between the lines for easy tips, tricks and ways to get the most out of your Facebook business page while it takes little than 15 minutes of reading. You may also like how to get 1000 Twitter followers in a month. For any suggestions or feedback related to this Facebook like techniques, we are happy to hear from you in the comments section. But if you think we have missed a point, your criticism is welcome! We all are learning and no one can be perfect – this article is just an extension of our winning experiences. All fine? 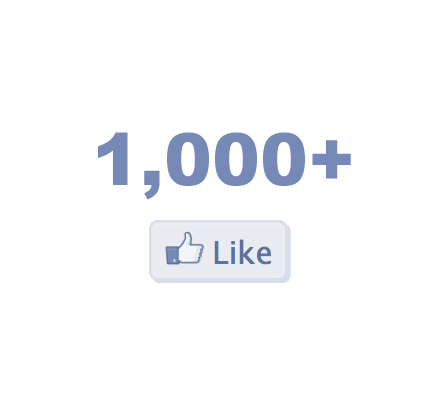 1 How to Get a 1000 Likes On Your Facebook business page? How to Get a 1000 Likes On Your Facebook business page? Using foul practices that few people know or if most people know they don’t talk about it simply because they hesitate to tell it socially. This trick is mostly a popular way to quickly score high and look upright professional with your Facebook business page. Many use it; but to tell you the truth, it leads to a bad brand impression, doesn’t accelerate on momentum once launched, and finally, ends up giving you reduced return out of an investment. To sum it up, using this trickiest technique to quickly get thousands and millions of Facebook likes, you prove you are insufficient of ideas, policies, campaigns and honesty to logically improve your Facebook business page. Don’t waste my time and tell me about this technique? Wait, please! The say honesty is ugly, unimpressive and makes you wait forever. But then if you use this honest technique, you feel proud of yourself and you leverage on true ways to nicely promote your Facebook business page. You get true audiences and a loyal base of actual customers; rather than paid ones. Your brand gets the actual return out of investment and you can get the most out of your Facebook. Best of all; you develop a strong brand identity by naturally and not artificially interacting with your target audience. Go to any service provider that provides you Facebook business page paid likes. They even have free options with a limited number of likes. By paying for such services, you can very easily hike the number of likes to our Facebook business page in a very short time. While investing money to substantially improve your Facebook page likes seems a good idea, here’s the bad part. Such services often have access to your profile information, and they could use the information against you. They claim they do not get your account information, but these mostly lie. They unknowing to you make you like different pages which you do not actually want to like. Moreover, such services often lead to a bad brand impression. And then too much inflow of fake accounts could make your account get banned. Such fake likes generators usually work using fake accounts – so when you receive 1000 likes, it means they are not your audience, but bots. So, we advise you to not go for such services – anyway! Build a genuine Facebook profile and then a business page. Beautify your account with updated graphics, company logo. Populate your bio with nice information – be choosy in words, be short and simple! For example; if you are a spice brand from Northeast India which has recently launched, you should not talk high that you are experienced. Suppose the name of your company is XYZ. XYZ is a very known brand and has been serving customers with quality products. Our customers love us for our products and they refer their friends to us for the values of our service. If you want the best value product, count on us! You know which one is good and why you need to have solid content starting from your bio to get your audience talking! Other than publishing regular quality content on your Facebook business page, you can use some trickiest ideas to get more audiences. We have seen brands reaching from 0 to over 1000 of Facebook likes using the honest technique. But good things take time. This technique is time taking but it is worth the wait because you struggle to build a loyal base of audiences. Thanks for writing such a great post. i will implement all the step by step guide. Amazing article. I am upbeat that I can learn new techniques to get my page went to or seen by more customers. Thankful to you.